StorSimple 5010, 7010 appliances use SSDs to speed local performance for primary storage, and treat the cloud as a storage tier. Automated tiering and primary dedupe are included. StorSimple's 5010, 7010 grabbed the gold cup in the storage systems category in Storage magazine's/SearchStorage.com's 2011 Products of the Year competition. Get all the results in our best data storage products of 2011 guide. StorSimple’s 1010 iSCSI cloud storage gateway won the Silver award in this category last year, and StorSimple moves up to Gold this year on the strength of a beefed up platform with larger arrays and more features in 2011. StorSimple made the 5010 and 7010 bigger -- they’re 2U boxes vs. the 1U 1010 appliance -- and added high availability with fully redundant hot-swappable components. They also support 100 TB volumes, twice the size of the 1010. 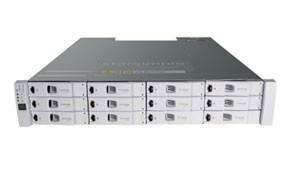 The 5010 can be licensed from 20 TB to 100 TB, while the 7010 licensing ranges from 40 TB to 200 TB. Both appliances include solid-state drives (SSDs) and SAS drives with automated application-aware tiering and primary data dedupe. The appliances use SSDs to speed local performance for primary storage, and treat the cloud as a storage tier. Data can be moved from the local array to the cloud based on performance requirements. The StorSimple appliances send data to AT&T Synaptic, Amazon Simple Storage Service (Amazon S3), EMC Atmos or Microsoft Windows Azure cloud storage. For data protection, they use StorSimple’s Cloud Snapshot and Cloud Clones features to move data off site. The appliances are on the Microsoft Windows Server Hardware Compatibility and VMware Ready lists. Pricing for the StorSimple 5010 starts at $30,000, plus $4,500 to $10,000 in annual costs. Find out the other winners in the Storage Systems category.